Ever had to shop for a kid’s table? What about kid’s chairs, highchairs or desks? What if you could combine all of these furniture items and buy one package that suited all functions? 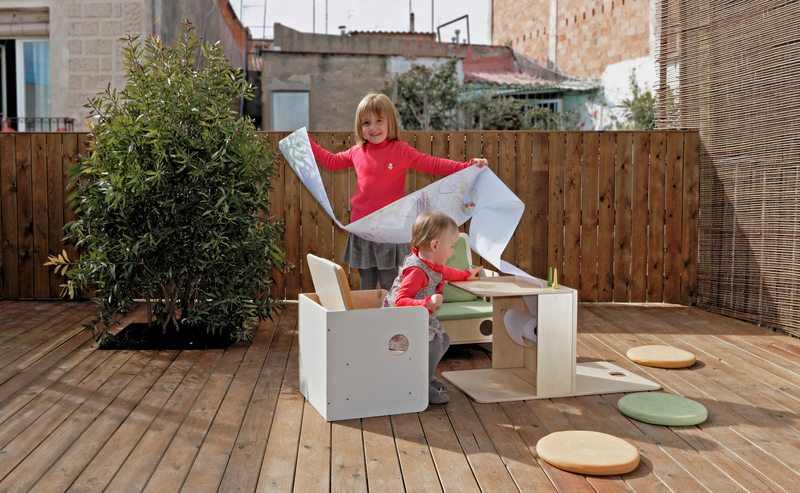 The OhU collection by Spanish label Nuun Kids Design allows parents to buy a furniture system that grows with children. There are four elements of the collection: the osit (baby chair), the hchair (chair), the Ustructure (a versatile structure that can form part of a highchair, a table or storage space) and the Itop (desk top). All four items can be combined in ingenious ways for multiple functions. It suits children aged six months right up to ten years. So instead of packing away furniture baby has outgrown, those items simply become part of the toddler furniture. The cycle continues until school-aged children are using parts of the very same furniture they used as babies. 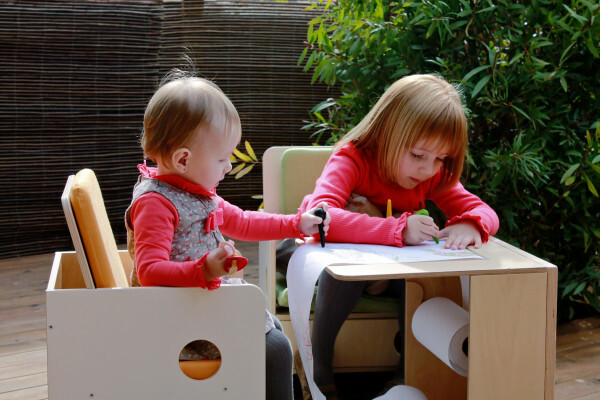 This innovative furniture system is perfect for twins. 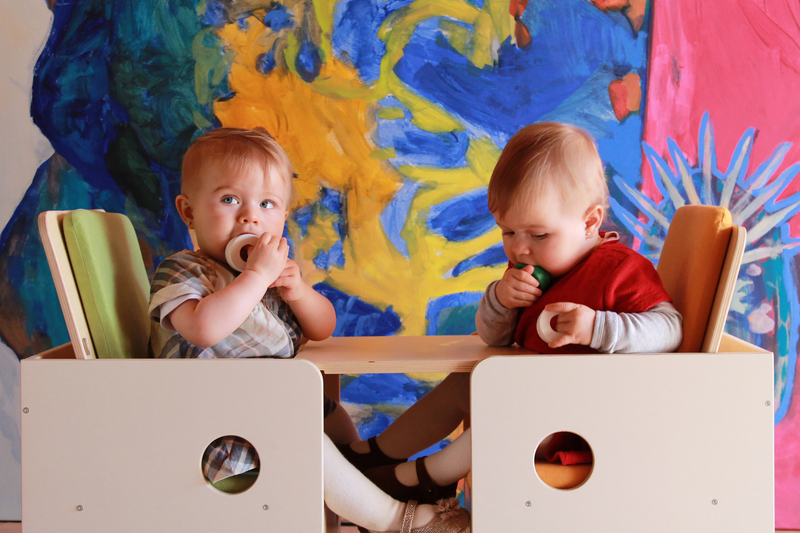 Nuun Kids Design sells an individual line and a duo line, so twins or siblings can eat and play together. For example, the osit baby chair’s tray has a double slot on the bottom making it possible to join to another baby chair. And here’s what parents of twins will really like – Nuun Kids Design offers some discounts for twins. OhU collection furniture is made from birch wood with a varnish finish. Some of the parts also have whiteboard paint for extra fun for the kids. To get a visual idea of how it all works, watch the videos. The osit costs $176, the hchair $130 and the Ustructure $145. Accessories to the Ubdesign are sold separately. The circular cushions are $23, rectangular cushions costs $38 and Nenjoy table that joins two osit baby chairs is $61. Nuun Kids Design ships internationally.